Newly launched Lenovo Vibe K5 nice looking smartphone has been open for registration and sale will start from 22nd June at 2 PM on Amazon. The price of Lenovo Vibe K5 is Rs. 6,999 at Amazon. When come to Lenovo Vibe K5 it’s also one of the best smartphone under Rs. 7,000 and which has all the essential specs with plus point features. This phone built with Qualcomm Snapdragon 415 processor which completes your tasks in certain time. It runs on 2GB RAM. Android 5.1 (Lollipop) is the operating system of this phone. It comes with Adreno 405 GPU. Lenovo Vibe K5 which gives clear crystal sound using DOLBY Atoms speakers. Check more features of this phone below. To get this phone, please follow the below mentioned steps. Previous articleHow to Analyze Your Twitter Followers, Men or Women? 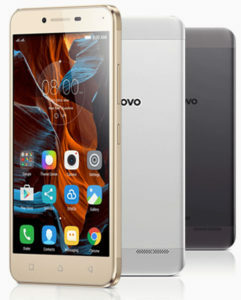 I want to buy Lenovo vibe k5 gold on Amazon where can I Buy it.